The National Transportation Safety Board (NTSB) in 2012 reported that over 700 million passengers use buses annually. While the vast majority of these individuals traveled without incident, 250 passengers were killed in 2009 and 20,000 were injured in bus accident that same year. Between 2000 and 2007, the NTSB reported that bus accidents were to blame for 1,315 fatalities and nearly 3,500 injuries (these numbers included passengers on the bus as well as pedestrians and other motorists). The Journal of Safety Research in 2012 conducted a study noting that young bus drivers increase the risk that a bus crash will be severe as does a driver of the age of 55 years. A bus driver who is 65 years of age or older has the highest risk of being involved in a severe accident. The study also found that in over 80% of bus accidents the bus driver was not engaged in risky driving behaviors and that below 5% of bus drivers involved in accidents are charged with driving under the influence, reckless driving, or other serious offenses. The NTSB conducted a study in 2011, which found that, during 2009, the bus occupant fatality rate equaled 45 deaths per 100,000 accidents. This is far less than the rate for passenger car occupants: 251 deaths per 100,000 accidents. Between 2005 and 2010, there was an average annual total of 1,003 bus accidents: 32 of these were fatal and resulted in 44 deaths. Five hundred and five of these were nonfatal accidents that resulted in injury only and 467 accidents only involved damage to property. Bus accidents are to blame for a number of deaths and injuries not only to bus passengers but also others that use the roadways. 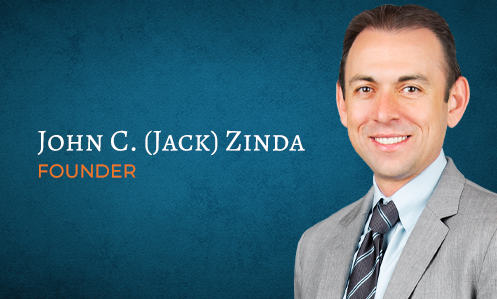 At Zinda Law Group, we cannot say that these statistics surprise us all that much. We have been helping injury victims who were involved in bus accidents for years and know how serious these events can be. We dedicate ourselves to zealously and aggressively representing our clients’ interests after they have been involved in a bus crash. We take the time to properly investigate a case and collect evidence to support our clients’ claims. Learn what we can do for you and your bus accident case by calling (800) 863-5312 to set up your free initial consultation.